Dalmally is a lovely village in the western highlands of Scotland nestled between Ben (Mt.) Cruachan and Ben Lui in the Strath (valley) of Orchy just off trunk route A-85. It is also just east of Loch Awe, the longest fresh water loch (lake) in Scotland. Oban, the closest city of any size, is about 25 miles to the west. 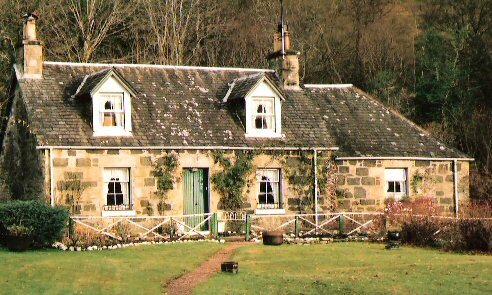 Dalmally is on the rail line between Glasgow and Oban and features the Dalmally Hotel, Glenorchy Lodge Hotel, as well as several very nice Bed & Breakfast and self-catering accommodations. The village is also on the Coast to Coast trekking route between St. Andrews and Oban. It is well worth a stopover whether traveling by auto, rail or on foot! Via a lovely forested walk to the south of the rail station is a memorial monument to Duncan Ban MacIntyre who was born in Glen Orchy in 1724. He was renowned for his Gaelic poetry. Since he was illiterate, his work had to be transcribed, the bulk of it by Donald MacNicol, a minister of Lismore. Much of his work survives and is available in both Gaelic and English and tells us much of his life and times. 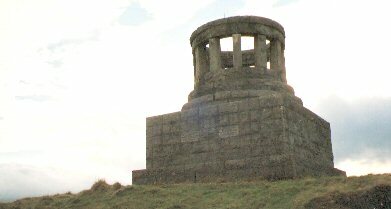 MacIntyre died in 1812 in Edinburgh where he is buried. The views from Monument Hill are spectacular and include Loch Awe, Ben Cruachan, Ben Lui, and Glen Orchy. The largest church in Dalmally, Glenorchy Parish Church, is just a short drive or walk north of the A-85 highway. It was built in 1811 in the Gothic Revival style, funded by the 4th Earl of Breadalbane, and designed by architect, James Eliot. The setting by the River Orchy is lovely, and the views of Ben Cruachan and Ben Lui are impressive. The Dalmally railway is on the line between Glasgow and Oban, and there are several trains daily. The station was opened in April 1877 and was the terminus of the line until it was extended to Oban in 1880. 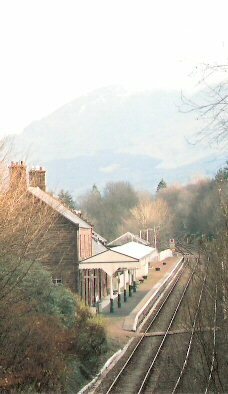 When the station was first opened, Dalmally was served by the Callander and Oban Railway but now is part of First Scot Rail's West Highland Line. About 4,000 people use the station annually. Dalmally is off the beaten path, as it were, and could be easily missed by anyone traveling the A-85 between Tyndrum and Oban. The village will reward a stop as it is picturesque. The atmosphere gives the traveller the real feel of the Highland people and their country. 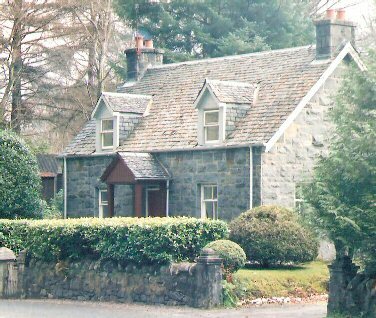 A stroll around Dalmally provides views of lovely homes and gardens, some of which are open as Bed & Breakfast or self-catering accommodations.